TerraBella’s highly concentrated blend of microbes naturally promotes uptake of nitrogen and other essential nutrients for plant health. The combination of aerobic and anaerobic microbes works throughout the root zone to increase crop yield and resistance to disease and pests. TerraBella can be used as a supplement to your traditional inputs. The result? A positive return on investment from higher yields and an accelerated time-to-market, as well as an overall improvement to root systems and long-term plant health. Farmers around the globe are realizing the many economic and agricultural benefits of TerraBella. A biofilm is the slimy layer made by bacteria when they adhere to a surface. It is a mixture of organic compounds such as sugars, proteins and DNA. When formed, biofilms can be very difficult to remove. TerraBella is a mixture of beneficial microbes that can help ensure healthy plants and high yields. One of the primary benefits of growers using TerraBella® is the ability of the microbes in TerraBella® to digest organic compounds. These compounds include not just soil particles, but also the oily residues/biofilms that form inside irrigation lines, which can result in irrigation lines becoming blocked. How TerraBella® solves the problem? 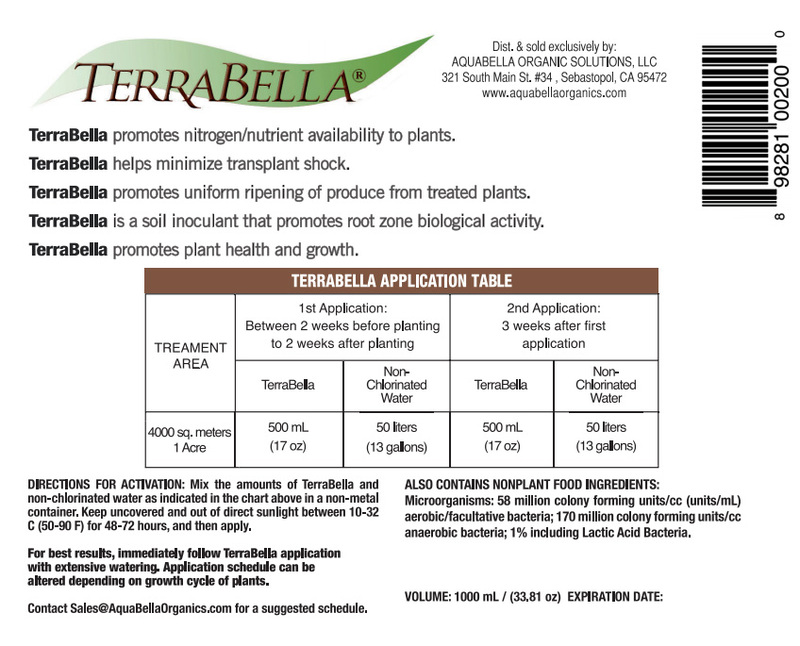 TerraBella microbes are optimized to colonize plant roots and make nutrients available. Most nutrients that plants require are attached to soil particles. TerraBella microbes “digest” these particles at the plant’s roots, freeing nutrients for the plant to use. The same microbial processes that digest soil particles to make nutrients available to the plant will also digest any organic solids encountered in irrigation lines, including biofilms. The use of TerraBella will not only clear irrigation lines, it can also maximize the effect of any fertilizer being used, by ensuring the nutrients in the fertilizer are available to the plant roots for uptake.